Charles Hoskinson, the co-founder of Ethereum (ETH), CEO of IOHK, and founder of Cardano (ADA), recently appeared on Ivan on Tech’s YouTube channel where he delved into the progress of Cardano, compared Cardano’s blockchain with Ethereum’s, and, oddly enough, with Bitcoin’s (BTC) as well. The interview kicked off with Hoskinson explaining that, while Cardano officially launched in 2017, it actually started back in 2015 as an aspirational project aiming to mprove upon the troubles presented by Ethereum and Bitcoin. According to Hoskinson, he and his team identified 3 key areas that they really wanted to focus on in order to compete and do something innovative in comparison to Bitcoin and Ethereum. Therefore he wanted to create a programmable blockchain that was capable of expansive things. So, he co-founded Ethereum, which is technically more advanced than Bitcoin, but realized early on that it too faced multiple setbacks regarding its programming. The Cardano founder explained that Ethereum’s programming language, Solidity, is not interoperable. That is, it can’t be used across different blockchains because it’s missing the 3 main attributes every programming language should have — simplicity, conciseness, and proof of correctness. According to Hoskinson, these programming languages are not only better for distributed systems, but the code makes it easier to find bugs. They’re also safer, more predictable, and faster than object-oriented programming languages like Solidity. As well, functional programming languages enable easy parallelization and are widely used by banks and other financial institutions. Throughout the Interview, Hoskinson delved into all of the improvements to the Cardano protocol and highlighted that the blockchain is now moving into the Shelley phase of development. This will see the release of the Ouroboros PoS algorithm, which has more than 3 years of research going into it. According to Hoskinson, the Ouroboros PoS algorithm will bring a level of decentralization to the Cardano blockchain that has never been achieved before. The confident Cardano founder did not reveal a release date(s) for when the Shelley mainnet and Ouroboros PoS algorithm are set to launch, but he did say that Cardano will be 100 times more decentralized than Bitcoin by the end of 2019. Adding to this, he said that Cardano will have a throughput 30 times larger than that of Bitcoin and will also have 30 times larger transaction volume. Hoskinson went on to say that even after 10 years of development on Bitcoin, the network is still unable to process more than 10 transactions per second. 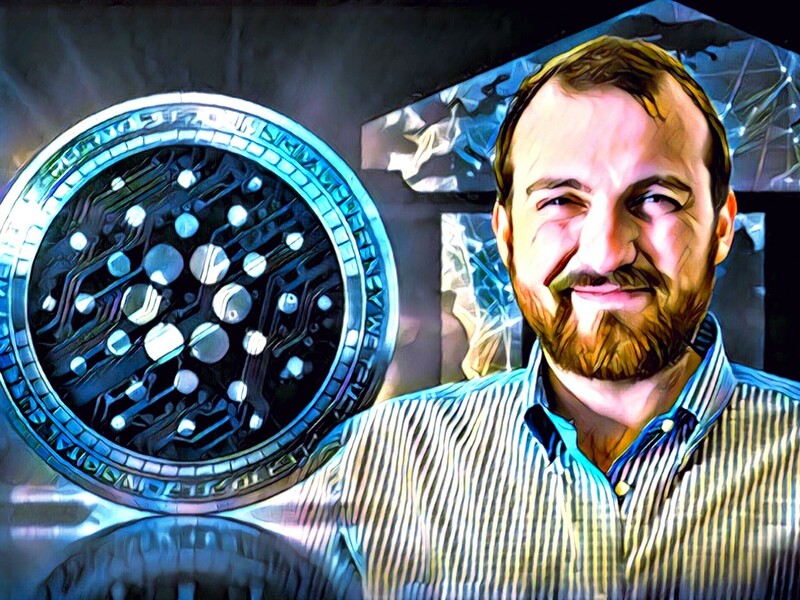 For this reason among others, Hoskinson believes Cardano will be one of the biggest players in the blockchain industry in just a few years, and that it will exit 2019 stronger than ever. Cardano has lagged behind other big protocol projects in terms of development, but will 2019 be its year to shine? Let us know what you think in the comment section below. Says shitcoin, from his moms basement. ADA coin as an investment is a shitcoin. It has done nothing. If Hoskinson spent as much time trying to drum up customers as he does criticising anyone and everyone, ADA might do more than lose 96% of it’s value then stagnate around a few cents,while it’s competition kick arse with investors. Experience maximum security investment with AIONMARKETS, the third generation blockchain network which guarantees a high performance crypto and forex trading signals with accurate ROI, inbuilt auto trading bot and a well programmed Artificial intelligence software capable of bypassing trade and loss of investment risks. Interested individuals should inbox me on WhatsApp for guidance and more information about the Aionmarkets platform. Charles criticises many big name and entrepreneur in the space, he sucking fame from King Larry to Elon Musk. Cardano is mislead project with his ego, barking with Parkson (ex Cardano foundation lead), then now the foundation full of puppets and kids, look again at EMURGO, IOHK parter and biggest investor they are full of idiot and lambo kids, none of them have technical background. i think when ADA reach 1$, most of investor will sell off and never buy back, because they bought at around 1 buck each coin.